Enigma encrypted messages have been broken before. There are certain properties of the machine that make this possible. The enigma machine produces more secure messages if a message is encrypted once and then encrypted again, The fundamental weakness of the enigma machine is that a letter can never encrypt to itself. By encrypting a message twice with different settings, a letter in the clear text can encrypt to itself in the second round. The following message has been encrypted twice with different settings on an M4 machine with an Uhr switch. No further technical help will be provided. The first person to fully decode it and follow the instructions will have $1000 sent via PayPal to them. No purchase necessary, void where prohibited by law, residents of jurisdictions where this would not be legal or restricted are not eligible to win. All laws and regulations apply. Any taxes are the responsibility of the winner. 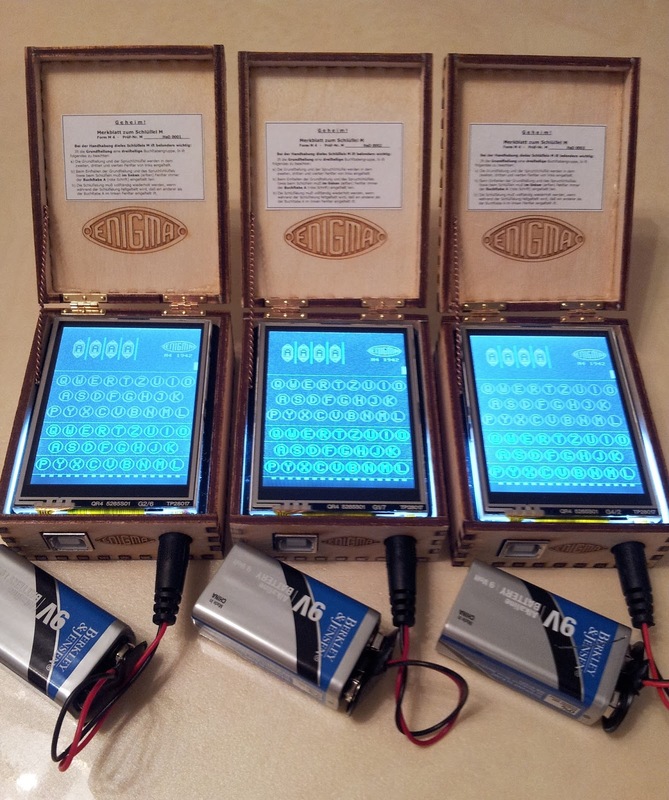 The Arduino Enigma Machine Simulator has been submitted for the The 2015 Hackaday Prize and Best Product competition. Three units, serial numbers HaD0001, HaD0002 and HaD0003 were built and submitted to SupplyFrame so they can be evaluated.